Simple, does the job. I am not overclocking so this is more than enough. Kingston Hyper was suddenly not available and went with this and happy with it. from completed build My personal gaming rig and work computer for school projects! Is fast enough for me and works well enough so no complaints. I selected this RAM over other gaming RAMs because H110M only supports upto 2133 MHz frequency. 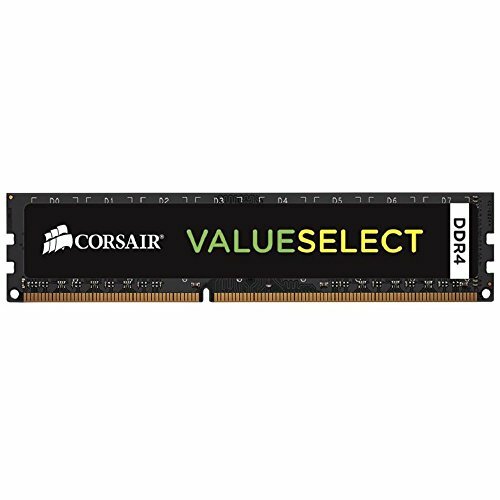 DDR4 RAMs are very energy efficient and doesn't need heat sinks unless over clocked. A bit expensive, but it does the job. it does what it should and is cheap. Since its black it definitely looks better than other budget RAM sticks. Reliable for my build, nothing really to say about it, works.